The maritime injury lawyers at Florida based personal injury law firm Gilman Law LLP LLP focus on serious maritime injuries. Our attorneys are knowledgeable and experienced working for individuals and families harmed by maritime accidents along the Florida coast. The Merchant Marine Act of 1920 is a United States statute designed to support the U.S. merchant marine industry and protect the health and livelihood of the maritime workers. The statute has provided benefits to hundreds of thousands of seaman on jack-up rigs, semi-submersible rigs, barges, drill ships, tugboats, tow boats, crew boats, dredges, cargo ships, fishing vessels and other moveable vessels. The Jones Act is the portion of the Merchant Marine Act requiring that all goods transported by water between U.S. ports be carried in U.S.-flag ships, built in the United States, and owned and crewed by U.S. citizens. It also provides a provision for injured sailors to seek compensatory damages for negligence or unseaworthiness from the shipowner, the captain or other crew members. If you have been injured in a maritime accident, Gilman Law LLP can help you and your family get your lives back on track with the financial security that you need. The Florida maritime injury law attorneys at Gilman Law LLP have represented maritime injury victims and helped them obtain compensation for their work-related injuries for more than twenty years. Complete our online form or call 1-800-LAW-INFO (1-800-529-4636) for help with your maritime injury case. Gilman Law LLP handles maritime law injury claims from port cities along the U.S. Eastern Seaboard, including Jacksonville, Fort Lauderdale and Miami, Florida and around the State of Florida. A Jones Act claim can be filed if the sailor can prove negligence or fault on the part of the vessel’s owners, operators or fellow employees as well as proving they were injured because the ship was unseaworthy. The ship’s owner is legally responsible for providing a safe ship and sufficiently trained crew. If there is a defect in the ship or with the gear, or if the ship is inadequately maintained resulting in a serious injury, a claim can be filed. A set definition of seaworthiness is not always used by the courts, providing lawyers with the ability to prove various interpretations of the law. If crew members were not reasonably fit for their expected duty and a lack of skill or knowledge caused or contributed to your injury, then negligence may be demonstrated under the Jones Act. Maritime laws are complex and only a few law practices have attorneys capable of representing Jones Act claims in court. The maritime lawyers of Gilman Law LLP are experienced in this practice area. The Jones Act lawyers at Gilman Law LLP have the expertise to handle maritime law claims at port cities up and down the Eastern Seaboard. 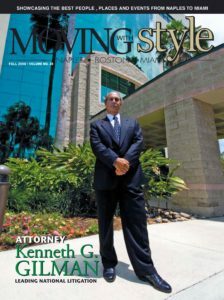 This entry was posted in Florida Maritime Injury Law Attorneys on January 13, 2011 by admin. The United States Marine Transportation System (MTS) encompasses 1,000 harbor channels, 25,000 miles of waterways, 1,914 cargo terminals, and 460,000 miles of pipeline connections — and employs more than 8 million American workers. Shipbuilding and water transportation companies employ 225,000 workers and close to 35,000 sailors, marine oilers, captains, mates, and pilots of water vessels, as well as ship engineers. With so many workers in such dangerous occupations, accidents and injuries are inevitable. If you are a seaman, merchant sailor, dock worker or offshore worker and have been injured in a maritime-related accident, contact an attorney who focuses on maritime and admiralty law today. Gilman Law LLP represents maritime injury victims in Ft. Myers, Naples and throughout the State of Florida. 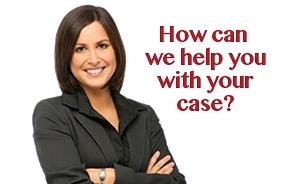 — and we can help you obtain the compensation available to you. Work on the ocean, in vessels, and even on docks can be dangerous — maritime jobs are considered among the most hazardous trades in the world. Maritime injuries are often severe and can prevent you from working again. Injuries can involve crushed or broken limbs, muscle and ligament damage, deep cuts, traumatic brain injury or spinal trauma. Maritime regulations and laws have been put in place to protect the rights of marine workers and their families. The maritime attorneys at Gilman Law LLP can help you understand those rights can help you prepare for your future when you are injured on the job. The primary maritime acts to aid injured workers include the Jones Act, the Longshore and Harbor Workers’ Compensation Act, the Death on the High Seas Act and the principle of maintenance and cure. Longshore and Harbor Workers’ Compensation Act: Maritime workers, including longshore workers, shipbuilders and harbor construction workers, are provided money and medical care through the Longshore and Harbor Workers’ compensation Act if disabled on-the-job either while at sea or in shipyards, at the docks, or in harbors. Maintenance and Cure: If you become injured or ill while out-to-sea, you are entitled to living expenses, lost wages, and medical care through the principle of maintenance and cure. These monies are available to you until you are fit to return to work, regardless of who was at fault for the injury or illness. Benefits include medical care, free of charge, to a seaman until maximum medical improvement is reached. The Jones Act and the Death on the High Seas Act: Allows sailors or their family members to seek compensation due to negligence or unseaworthiness. Claims can be brought against the ship owners, captains or other crew members. As a worker you should have the comfort of knowing that the ship on which you are working and living is safe and seaworthy, and it is the owner’s legal responsibility to provide the crew with a seaworthy ship. The owner must also take steps to ensure that the crew is properly trained, the equipment is in good repair and proper safety gear is supplied. Life in the maritime business can be an exciting world, but it can also be extremely dangerous. When accidents occur, laws are in place to protect you and your livelihood. The maritime injury lawyers at Gilman Law LLP understand the complexities of maritime and admiralty law and have the expertise to handle maritime claims at port cities along the Eastern Seaboard. You’ve already taken an important initial step by finding YourMaritimeLawyer.com. Now call us at 1-800-LAW-INFO (1-800-529-4636) or fill out our online form so the maritime lawyers at Gilman Law LLP can put our experience to work for you.